The dragée version of chocoMe's latest, proprietary dark chocolate recipe for which we use one of the world's finest quality almonds, the Fascionello almond from Avola. Located in the southernmost part of Sicily, this sensational almond put Avola on the world map of gastronomy. Due to the 2600 hours of sunshine, the seaside climate and the rich calcium-rich soil, the Fascionello almonds have a distinctly flat appearance, with a crunch and taste out of this world. The finished dragées are rolled in cocoa powder from Peruvian cocoa beans hand-picked from the plantation. chocoMe's latest, proprietary dark chocolate recipe in the shape of mini chocolate bars which can be purchased individually or in a 12 piece gift box. 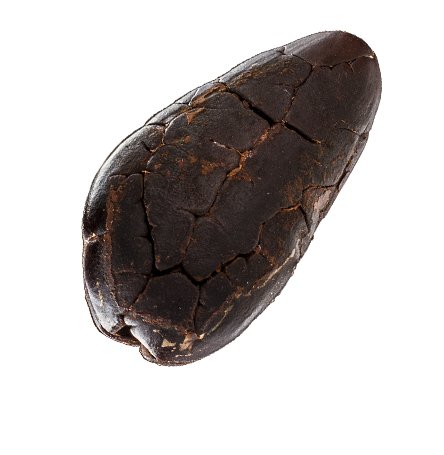 The flavour of the chocolate combines a persuasive, yet non-intrusive cocoa character, with dominant tart notes, a strong red fruit undertone, and and a lingering aftertaste. The Australian Murray River salt flakes shows off its crystals as a glittering decoration on the surface of the chocolate bar. Each bite is a sparkling surprise: the salt flakes slowly melt and unite in perfect harmony with the dark chocolate. A real connoisseur chocolate this creation made with well-known pepper from Kampot. The strong fruity notes typical of red wine are in unparalleled harmony with the strong red-fruity aromas of dark chocolate. According to renowned chefs, the world's best pepper types include the hand-harvested pepper from Kampot (Cambodia), which was re-discovered in the early 2000s. Thanks to its well-known extremely hot flavour, it has strong fruity notes and a strong spicy finish. A bar of chocolate for those who are only satisfied when they can indulge themselves with a strong, dominant cocoa flavour. The intensiveness of the cocoa beans meet the aroma of the roasting - this randezvous means real gourmet adventure.